I love this image ..... pure energy surrounding a Brizo faucet in the making at the Delta-Brizo Plant in Jackson, Tennessee. PVD (Physical Vapor Deposition)- creates anti-tarnish and abrasion finish called BRILLIANCE, patented by Delta. 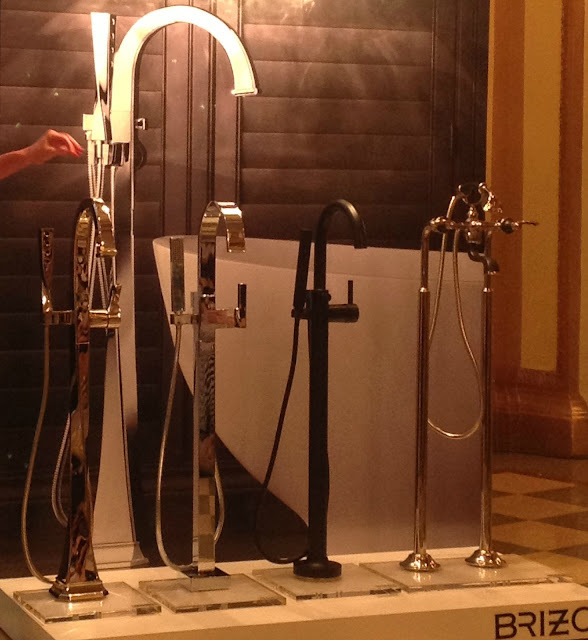 As a part of Brizo's Blogger 19 Memphis experience, we were able to interface with the employees and see where the magic happens. They were excited we were there to see what they do and personally showed us how the faucets are constructed. 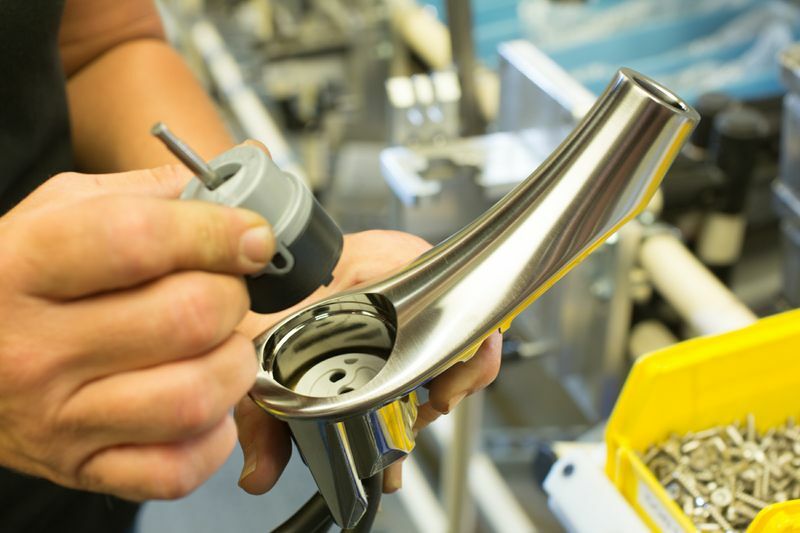 I was shocked to learn that all the faucets are assembled and finished by hand with stringent quality assurance checks built into the technologies leaving minimal room for error. Impressive! 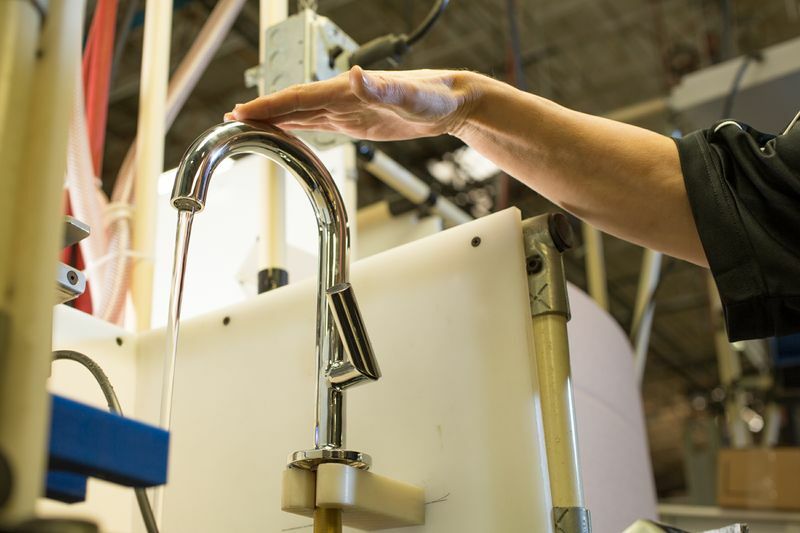 Test after test also happens along the production lines.... like a water and air pressure test to ensure that the faucet is working correctly. 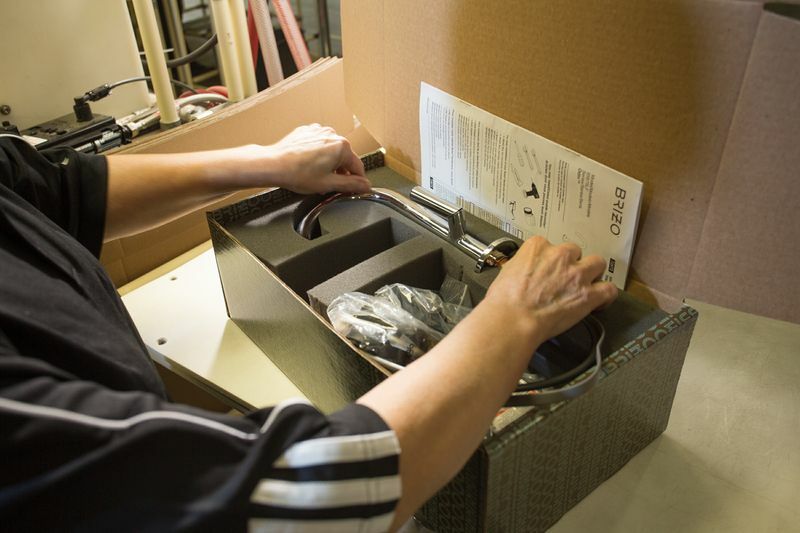 To top it all off, a final inspector inspects all the boxes before they are shipped out of the factory to ensure a 100% perfectly constructed faucet. The inspector will not acknowledge anyone speaking to them while they are at task. Shhh! 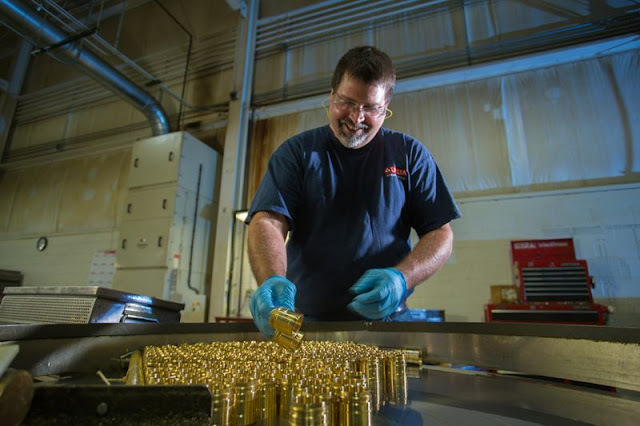 The Delta/Brizo plant is extraordinary as well as all the engineers, designers, product and marketing teams. A special group of people I have had the privilege to meet! We were also drooling over the new H20 Kinetic shower system...prepare yourself for the feeling of more water....Their innovative technology creates an unique wave pattern which gives you the feeling of more water without using more water. Basically a plastic chip is built inside each of its four nozzles and deflects the water just like your thumb would when placed over the end of garden hose. 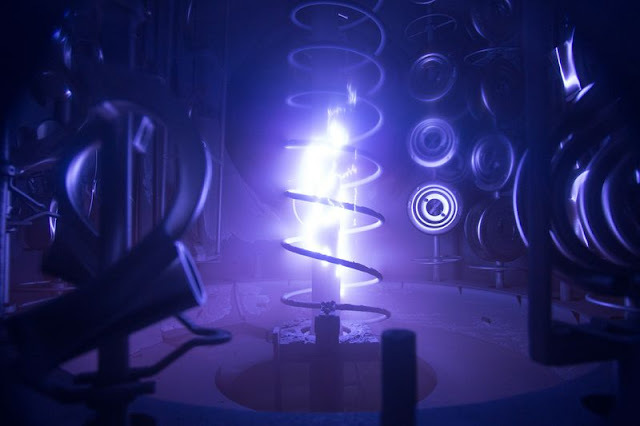 The image below shows how the wave is coming out of the holes. The water is sculpted into larger droplets and gives a more concentrated experience. 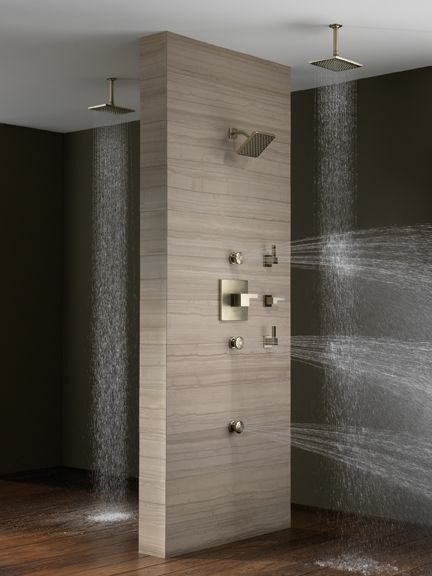 One of the Delta/Brizo engineers told us that they studied rain droplets around various regions of the world and wanted to attain plump shower droplets which means more water-body contact...ultimately attaining a luxurious feeling shower. But ofcourse, the all around experience can be achieved with up to six H2OKinetic body sprays in addition to the H20Kinetic showerhead. 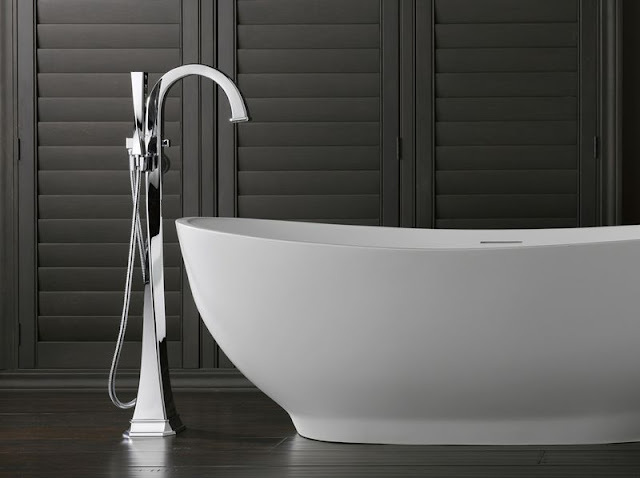 We can't forget the tub experience.... Their new tub fillers for stand alone tubs are also beauties...very sculptural! Brizo invited me to attend an all-expenses paid reunion in Memphis.